The most exciting places to ride a bike are not always the beaten paths, but the places where you wouldn’t expect a bike could even venture. Something about exploring a new place unknown to bicycles brings out the adventurous kids in us and many of these places have interesting and unique aspects to them. Here is a list of five places I am currently fantasizing about taking my two-wheels through, that may also pique your interest. Of course, not all of them are that possible to do, but it is nice to imagine that we ever could! The Indiana Jones side of me wants to explore every forbidden temple, cave, and treasure tomb under the sun. This includes gigantic shopping malls that are built during periods of economic speculation and over-exuberance, that are mostly vacant, and that are located in countries that could throw me into jail for acting a fool. The South China Mall in Dongguan, China, the biggest mall in the world, fits this criteria perfectly. Although it was meant to be an over-the-top shopping paradise, with amusement park inside to boot, it has been 99% vacant since it opened in 2005. It has been cited as one of the prime examples of China’s emerging ghost towns- places built quickly and grandly, without a market to cater to, just to keep the economy spinning on its wheels of rapid-pace growth. I am citing it as one of the places I’d most want to explore by bicycle. 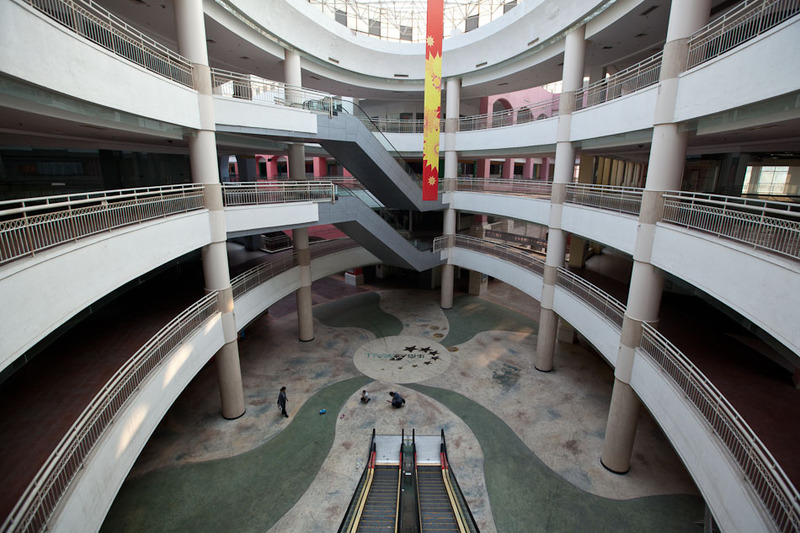 Imagine riding down those smooth and clean empty corridors lined with polished marble and granite with an eerie mall-music soundtrack playing in the background and the sound of no people around. Since it is so big with multiple floors, it would actually take some time to go from one end to the other and see everything. According to Wikipedia, “The mall has seven zones modeled on international cities, nations and regions, including Amsterdam, Paris, Rome, Venice, Egypt, the Caribbean, and California. Features include a 25 metres (82 ft) replica of the Arc de Triomphe, a replica of Venice’s St Mark’s bell tower, a 2.1 kilometres (1.3 mi) canal with gondolas, and a 553-meter indoor-outdoor roller coaster.” How cool is that? How likely is it that I could ever ride through there? Not that likely. I’d be too chicken of being thrown in jail for being reckless or something. I don’t know how the laws in China work and I don’t want to find out. But who knows… If I am ever in the neighborhood and happen to end up there with my bike, I could just pretend that I thought I was in Amsterdam when I am in the Amsterdam section of the mall. We don’t have to look so far east for large-scale buildings that are empty of human beings. 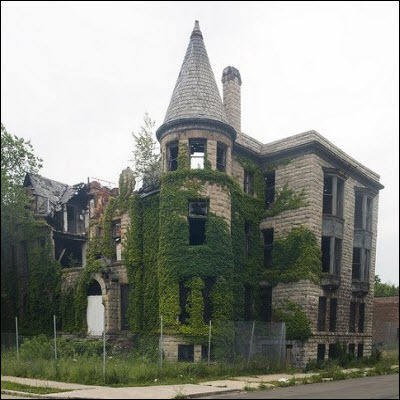 The city of Detroit in Michigan is one of the most widely known examples of population loss and urban decline. Once a center of automobile manufacturing in the US and world, it has lost 50% of its population since the 1950s and continues to decline. 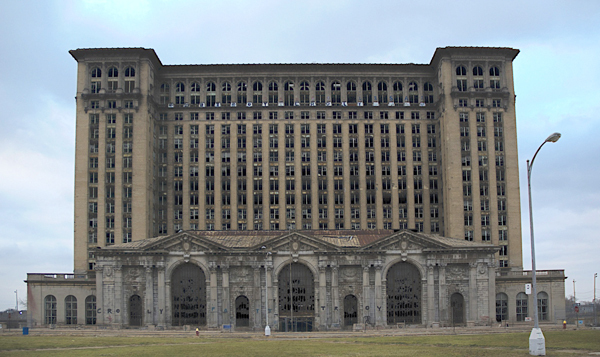 While the paint in the South China Mall still smells relatively fresh and new, the paint in Detroit’s old warehouses and buildings have long faded and peeled away and there is little hope anything could be done to reverse it. But there is a certain romance and mystique surrounding its evolution into an urban forgotten land. Amid the rubble and crumbling walls, the artifacts and whispers of past lives are buried. It was once a place that thrived with people who lived out their lives, worked, fell in love, and raised families. It is a place currently forgotten, but not worthless. 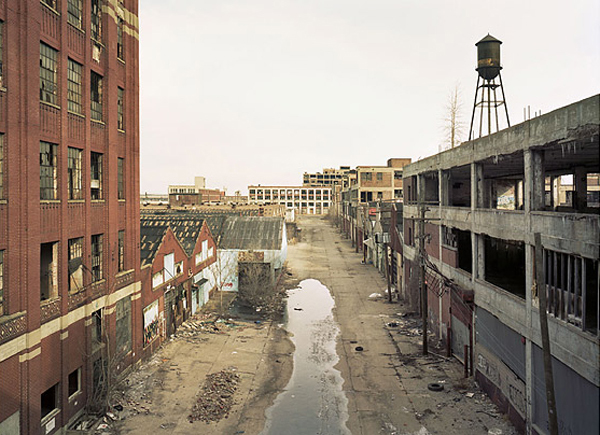 I’d love to ride my bike through the abandoned areas on a tour of all its old warehouses and monumental buildings. How likely is it that I could ever ride through there? Somewhat likely. If I really wanted to make it happen, I could. I would just have to buy a plane ticket, pack my Brompton folding bike, and fly out to Detroit. But how safe would it be? I am not sure. I imagine that besides having to avoid becoming a victim of crime, I’d have to be mindful about where I am riding. The roads, sidewalks, and buildings are not maintained so there could be hazards at every turn. I should at least remember to bring a hard hat, pepper spray, and a dozen or more tire patch kits. 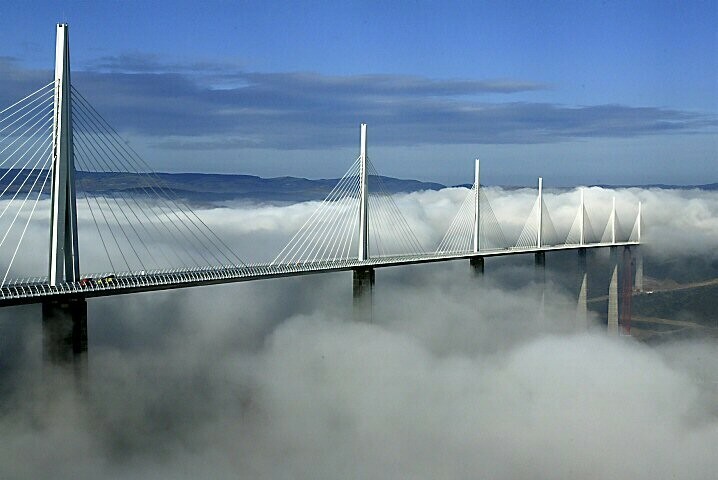 If I am ever tired of looking at urban decay, I can turn my eyes towards the beautiful and stunning expanse of the Millau Viaduct in France. (Gosh, the French make everything beautiful don’t they?) Its status as the world’s tallest bridge and its incredible beauty and stunning natural setting make it the closest thing to a bridge to heaven. Here is a video about its construction. It is 10 minutes long, so you may want to watch the beginning and skim the rest. Looks like this is the least likely to happen of all the places listed so far. Bummer! Well, maybe one day I will have a nice dream about it. Riding a bike is a lot of fun. Riding a bike in the dark with glowing lights and bumping house music is something on a whole other level. The closest thing I have experienced to that is rolling with the SF Bike Party (they are great fun by the way) but I want to take it further. Enter the Bike Rave! Imagine a gigantic dark abandoned warehouse 10 times bigger than the Titanic, laser lights and glow sticks, festive people in costumes, good vibes, and a nice sound system with Deadmau5 (or your DJ of choice) at the decks. But instead of dancing, people are riding their bikes around the neon glow fantasyland. Miraculously, there would be enough room to ride your bike without having to yield every second, and even if people are intoxicated (I personally opt for no enhancements), no one would crash. Why would it be indoors you might ask? Well, that would make for better music ambience and laser effects. I think the closest thing to an actual bike rave is the annual desert rave known as Burning Man. Every year, people from the SF Bay Area and all over the world flock to Black Rock Desert in Nevada for a week of festivities and an “experiment in temporary community dedicated to radical self-expression and radical self-reliance” and they bring their bikes with them. I have yet to attend my first Burning Man, but if I ever do go it would be to tour around there with my bike riding from one cool art installation to the next. Just by seeing photos and watching videos online, I am already impressed by all the ingenious, inventive, and highly creative things that people have made for the event! And of course they have lots of music too. 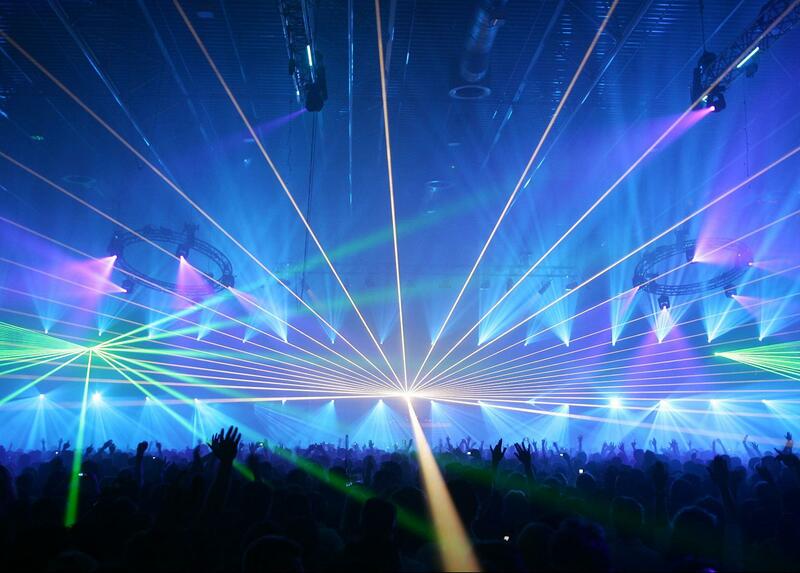 How likely is it that I could ever ride through a bike rave in the form that I am thinking? Well, I would be happy enough to ride at Burning Man. Just watching those videos above makes it look awesome! So, all I need to do is get a group of friends together, buy some $380 tickets (yes, they are indeed $380 per ticket + fees), get my bike and camera ready, and I am good to go. You know what is going to make me and all the SF cyclists rave party like its 1999? 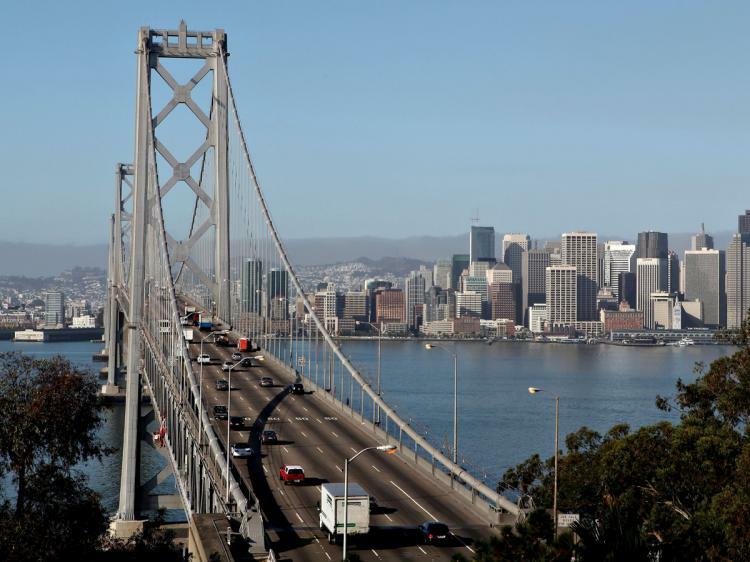 If they ever get around to building bicycle/pedestrian paths on the western span of the Bay Bridge (there are only bike paths on the new eastern section of the Bay Bridge) finally connecting San Francisco and the East Bay. The city has been looking at this idea for some time, but the high price tag gives everyone sticker shock. But the longer we wait, the more expensive it is going to be. Who knows if this will ever be built, but in my book it is a no brainer. 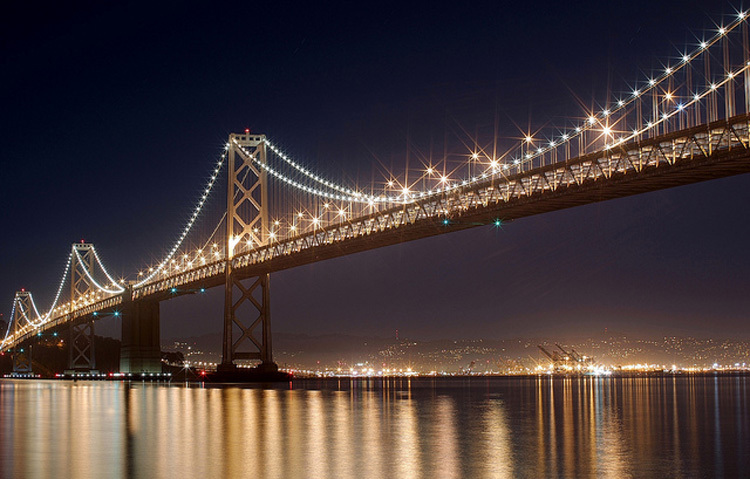 The Golden Gate Bridge already has its own ped and bike paths, but the ones on the Bay Bridge would be even more important to people’s daily lives as it connects two vibrant and important economic centers and will probably be heavily used for commuting as well as recreation. Oakland is often the first place people who have been priced out of SF look for their next house or apartment and Oakland has its own funky and interesting creative ecosystem. Even though this is number five on this list, it is number one in my heart. Great article. 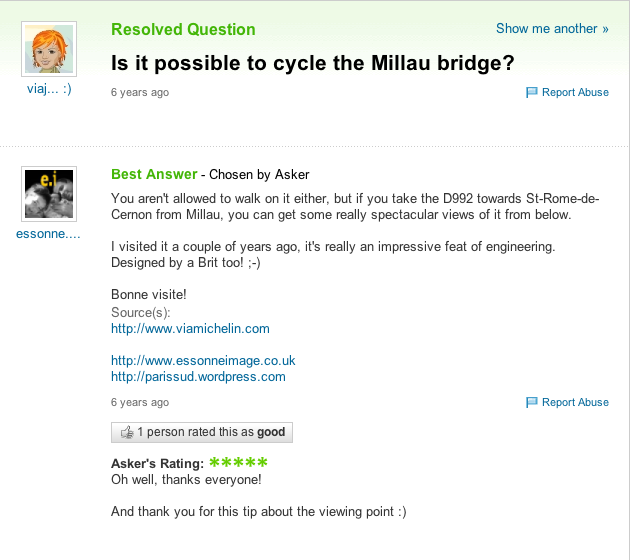 As far as i’m concerned i would like to ride Oresund bridge between Copenhagen and Malmoë. Recap: First Sunday Streets of 2013!